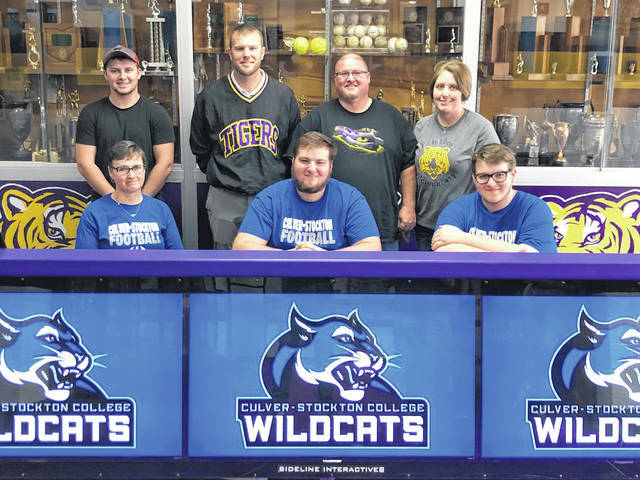 Trevor Tite signed a Letter of Intent on Friday at McClain High School and will be attending Culver-Stockton College an NAIA school located in Canton, Missouri. Pictured front row (l-r): Krista Tite, Trevor Tite and Ryan Tite. Back row (l-r): Tanner Tite, Coach Jake Orr-Zody, Coy Tite and Heidi Tite. 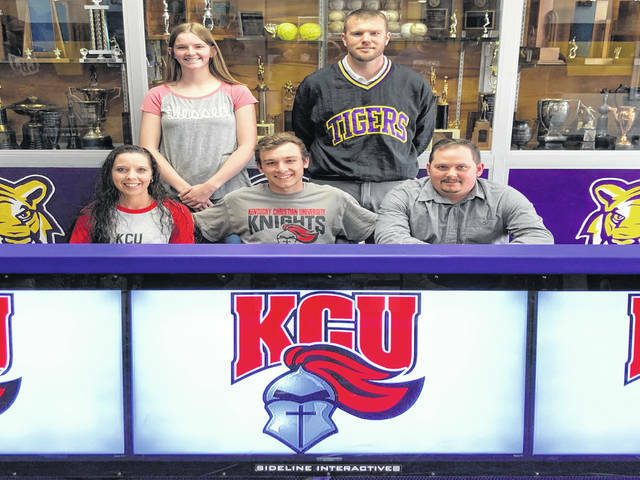 Colton Mossbarger signed a Letter of Intent on Friday at McClain High School and will attend Kentucky Christian University an NAIA school in Grayson, Kentucky next fall as he looks to continue his athletic and academic career. Pictured front row (l-r): Shallana Anderson, Colton Mossbarger and David Mossbarger. Back row (l-r): Sarah Free and Coach Jake Orr-Zody.